This is an exciting weekend for theater in Sanford!! Theater West End is finally opening its doors to the public and we are thrilled to see their first show “The Color Purple: The Musical”! If you haven’t already done so, get your tickets today! Opening night is already sold out…Since it’s the first Friday of the month we also get to hang out at The Tennessee Truffle, Deviant Wolfe Brewing and Mr. Z’s for some awesome food and drink specials during West First Fridays on West 1st Street. Friday evening enjoy awesome live music in some of your favorite locations, including DecaPhonix at Sanford Brewing and Papa Wheelee at The Alley. After your weekly visit to the Sanford Farmers Market you have a few interesting options: learn how to mix a few special Rum cocktails during Bitters & Brass’ Rum Cocktail Class, taste fine teas from all over the world during The Forever Tea Partyevent at The Rosie Lee, or enjoy some of Sanford’s best craft beer at Inner Compass and pair it up with food from the Smoke & Donuts Food Truck. For your musical entertainment, don’t miss the Heart Tribute Show at Wayne Densch Performing Arts Center or visit Wops Hops Brewing Company for some Jazz, Soul & Funk! To celebrate NFL Opening Sunday, West End Trading Co. is showing all games on 12 TVs and offering food and drink specials, like 2 for 1s! Looking for a new best friend? Head on over to Tuffy’s and let’s have a Patio Paw-tay to meet some cuties of Furever Bully Love Rescue who are looking for their forever home. West First Fridays on West 1st Street! Sanford Punk Night W/ Never Ender/I Never Sleep and more! Haunted Sanford Historical Ghost Walk! Saturday Luncheon Cruise – St. Johns Rivership Co. The Forever Tea Party Kick-Off Tea! 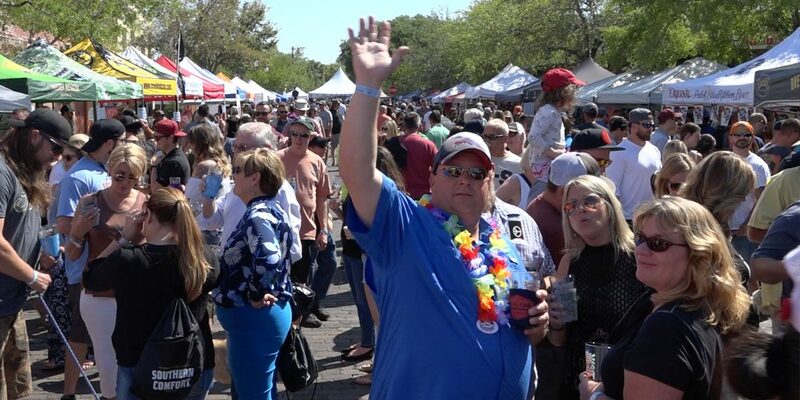 Second Saturdays in Sanford at West End Trading Co.
Dinner Dance Cruise – St. Johns Rivership Co.
NFL Opening Sunday at West End! Sunday Luncheon Cruise – St. Johns Rivership Co.
Claudia Mundlos is a local realtor, blogger, founder of Sanford365.com and longtime Sanfordite! She has a passion for Sanford, family and friends and you can see her around town Sanfording on any given day. Be sure to say hello!